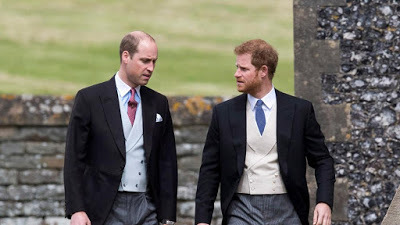 Prince Harry asks William to be his best man – Royal Times of Nigeria. Prince Harry has asked his brother William to be best man at his wedding to Meghan Markle. Kensington Palace said, the Duke of Cambridge is honoured to have been asked and is very much looking forward to supporting his brother on 19 May. Prince Harry served as best man to William at his wedding to Kate Middleton in 2011. Harry will marry Ms Markle at St George’s Chapel, Windsor next month with approximately 600 guests invited to the ceremony.